With Schools and Colleges having such a high throughput of people within every area, from classrooms to toilets and cafeteria, it does not take long for areas to become dirty. If this is left unchecked an unclean environment will quickly encourage scruffy uniform, which will in turn encourage poor behaviour and moral. Starlight cleaning offer a thorough and professional cleaning service to schools and colleges. 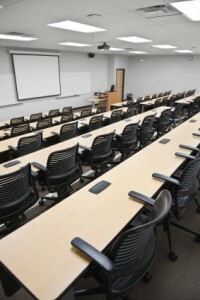 As we have a number of existing schools and colleges as customers, we understand the requirements for a cost effective cleaning service that will still provide a high quality finish. With tailor made cleaning plans to suit every size of school, we are certain we can offer a package that will meet your requirements. Security is a priority on all sites but especially surrounding schools and children. All our contract cleaning staff are CRB checked prior to employment at any places of education. We believe quality control and communication are the vital ingredients for continued success of our cleaning business, for this reasons our supervisors and managers carry out daily and weekly checks to ensure the highest standards are achieved and sustained for our clients.